^ 1.0 1.1 1.2 National Institute of Statistics of Rwanda. Featured indicators. 2015 [2015-09-07]. （原始内容存档于2015-09-07）. ^ National Institute of Statistics of Rwanda 2015. ^ National Institute of Statistics of Rwanda 2014, p. 3. ^ 4.0 4.1 4.2 4.3 4.4 Rwanda. World Economic Outlook Database. International Monetary Fund (IMF). 2016-04 [2016-06-20]. （原始内容存档于2016-08-09）. ^ Gini Index. World Bank. [2014-04-15]. （原始内容存档于2014-03-27）. ^ 7.00 7.01 7.02 7.03 7.04 7.05 7.06 7.07 7.08 7.09 7.10 7.11 7.12 7.13 7.14 Chrétien, Jean-Pierre. The Great Lakes of Africa: Two Thousand Years of History. Cambridge, Mass. : MIT Press. 2003 [2014-04-15]. ISBN 978-1-890951-34-4. （原始内容存档于2014-04-22）. ^ Dorsey, Learthen. 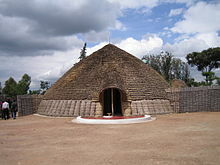 Historical Dictionary of Rwanda. Metuchen, N.J.: Scarecrow Press. 1994: 36. ISBN 978-0-8108-2820-9. ^ 9.0 9.1 9.2 9.3 9.4 9.5 9.6 9.7 9.8 Mamdani, Mahmood. When Victims Become Killers: Colonialism, Nativism, and the Genocide in Rwanda. Princeton, N.J.: Princeton University Press. 2002 [2014-04-15]. ISBN 978-0-691-10280-1. （原始内容存档于2014-04-22）. 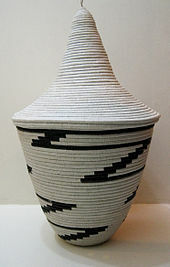 ^ 10.0 10.1 10.2 10.3 10.4 10.5 10.6 10.7 King, David C. Rwanda (Cultures of the World). New York, N.Y.: Benchmark Books. 2007 [2014-04-15]. ISBN 978-0-7614-2333-1. （原始内容存档于2014-04-22）. ^ 11.00 11.01 11.02 11.03 11.04 11.05 11.06 11.07 11.08 11.09 11.10 11.11 11.12 11.13 11.14 11.15 11.16 11.17 Prunier, Gérard. The Rwanda Crisis, 1959–1994: History of a Genocide 2nd. London: C. Hurst & Co. Publishers. 1995 [2014-04-15]. ISBN 978-1-85065-243-4. （原始内容存档于2014-04-16）. ^ Shyaka, Anastase. The Rwandan Conflict: Origin, Development, Exit Strategies (PDF). National Unity and Reconciliation Commission, Republic of Rwanda: 10-11. [2014-04-15]. （原始内容存档 (PDF)于2013-12-29）. ^ 13.0 13.1 Appiah, Anthony; Gates, Henry Louis. Encyclopedia of Africa, Volume 1 illustrated. Oxford: Oxford University Press. 2010: 450 [2014-04-15]. ISBN 978-0-19-533770-9. ^ 14.0 14.1 Gourevitch, Philip. We Wish To Inform You That Tomorrow We Will Be Killed With Our Families Reprint. London; New York, N.Y.: Picador. 2000 [2014-04-15]. ISBN 978-0-330-37120-9. ^ United Nations (II). International Trusteeship System. [2014-04-15]. （原始内容存档于2014-04-12）. ^ United Nations (III). Trust and Non-Self-Governing Territories (1945–1999). [2014-04-15]. （原始内容存档于2014-04-12）. ^ 17.0 17.1 Unrepresented Nations and Peoples Organization (UNPO). Batwa. 2008-03-25 [2014-04-15]. （原始内容存档于2014-04-02）. ^ BBC News (III). Hutus 'killed Rwanda President Juvenal Habyarimana'. 2010-01-12 [2014-04-15]. （原始内容存档于2014-02-19）. ^ Henley, Jon. Scar tissue. The Guardian (London). 2007-10-31 [2014-04-15]. （原始内容存档于2014-02-24）. ^ 20.0 20.1 20.2 Dallaire, Roméo. Shake Hands with the Devil: The Failure of Humanity in Rwanda. London: Arrow. 2005 [2014-04-15]. ISBN 978-0-09-947893-5. （原始内容存档于2014-04-22）. ^ 21.0 21.1 BBC News (VI). Q&A: DR Congo conflict. 2010-08-27 [2014-04-16]. （原始内容存档于2014-03-11）. ^ United Nations Development Programme (UNDP) (III). Human Development Index Trends, 1980–2010 (PDF). 2010 [2013-11-13]. （原始内容 (PDF)存档于2013-11-13）. ^ Rwanda Development Board (RDB) (I). Tourism and Conservation Performance in 2008. 2009-01-06 [2012-05-11]. （原始内容存档于2012-05-11）. ^ 24.0 24.1 24.2 National Institute of Statistics of Rwanda. The third Integrated Household Living Conditions Survey (EICV 3) – Main indicators Report. 2012-02 [2014-04-16]. （原始内容存档于2013-11-13）. ^ United Nations Development Programme (UNDP) (V). Human Development Report 2013: Rwanda (PDF). 2013 [2015-08-31]. （原始内容存档 (PDF)于2016-02-13）. ^ Central Intelligence Agency (CIA) (I). Rwanda. The World Factbook. [2015-11-12]. （原始内容存档于2015-11-07）. ^ 27.00 27.01 27.02 27.03 27.04 27.05 27.06 27.07 27.08 27.09 27.10 27.11 27.12 27.13 27.14 27.15 27.16 27.17 27.18 Commission Juridique Et Constitutionnelle Du Rwanda (CJCR). Constitution of the Republic of Rwanda. 2003-05-26 [2012-02-16]. （原始内容存档于2009-03-25）. ^ Lacey, Marc. Rwandan President Declares Election Victory. New York Times. 2003-08-26 [2014-04-16]. （原始内容存档于2013-11-11）. ^ BBC News (IV). Rwanda President Kagame wins election with 93% of vote. 2010-08-11 [2014-04-16]. （原始内容存档于2012-04-25）. ^ Media High Council, Republic of Rwanda. Constitution of June 2003. [2012-06-15]. （原始内容存档于2012-06-15）. ^ National Commission for the Fight against Genocide, Republic of Rwanda. Law No 18/2008 of 23/07/2008 Relating to the Punishment of the Crime of Genocide Ideology: 1. 2008-10-15 [2014-04-16]. （原始内容存档于2013-11-08）. ^ Roth, Kenneth. The power of horror in Rwanda. Human Rights Watch. 2009-04-11 [2014-04-16]. （原始内容存档于2014-03-20）. under the guise of preventing another genocide, the government displays a marked intolerance of the most basic forms of dissent. ^ 34.0 34.1 Amnesty International. Human Rights in Republic of Rwanda. 2012 [2014-04-16]. （原始内容存档于2014-04-22）. silence dissent, including criticisms of the ruling RPF party and demands for justice for RPF war crimes. ^ Amnesty International. Human Rights in Republic of Rwanda. 2012 [2014-04-16]. （原始内容存档于2013-10-02）. ^ United Nations Development Fund for Women (UNIFEM). Rwandan Women Secure 56% of Parliamentary Seats in Historic Election Result. 2008-09-22 [2014-04-16]. （原始内容存档于2013-12-13）. ^ 37.00 37.01 37.02 37.03 37.04 37.05 37.06 37.07 37.08 37.09 37.10 37.11 37.12 37.13 37.14 37.15 37.16 Central Intelligence Agency (CIA) (I). Rwanda. The World Factbook. [2012-04-02]. （原始内容存档于2012-03-02）. ^ Human Rights Watch (HRW); Wells, Sarah. I. Summary. Law and reality: progress in judicial reform in Rwanda. 2008: 2 [2014-04-16]. ISBN 978-1-56432-366-8. （原始内容存档于2014-03-20）. ^ Human Rights Watch (HRW); Wells, Sarah. VIII. Independence of the Judiciary. Law and reality: progress in judicial reform in Rwanda. 2008: 9 [2014-04-16]. ISBN 978-1-56432-366-8. （原始内容存档于2014-03-20）. ^ Walker, Robert. Rwanda still searching for justice. BBC News. 2004-03-30 [2014-04-16]. （原始内容存档于2013-12-26）. ^ Transparency International. Corruption Perceptions Index 2010 Results. 2010 [2014-04-16]. （原始内容存档于2014-04-12）. ^ Office of the Ombudsman, Republic of Rwanda. Office of the Ombudsman. [2014-04-16]. （原始内容存档于2014-03-26）. ^ Asiimwe, Bosco R. Gov't to sanction officials who failed to declare wealth. The New Times (Kigali). 2011-09-28 [2014-04-16]. （原始内容存档于2014-04-16）. ^ Clark, Phil. 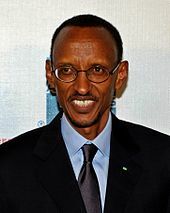 Rwanda: Kagame's power struggle. The Guardian (London). 2010-08-05 [2014-04-16]. （原始内容存档于2014-03-20）. ^ Freedom House. Freedom in the World: Rwanda. 2011 [2014-04-16]. （原始内容存档于2014-03-20）. ^ United Nations (I). United Nations Member States. [2014-04-16]. （原始内容存档于2014-04-12）. ^ Francophonie. Welcome to the International Organisation of La Francophonie's official website. [2014-04-16]. （原始内容存档于2014-04-01）. ^ Grainger, Sarah. East Africa trade bloc expanded. BBC News. 2007-06-18 [2014-04-16]. （原始内容存档于2013-04-14）. ^ Fletcher, Pascal. Rwanda accepted into Commonwealth only 15 years after genocide. The Scotsman (Edinburgh). 2009-11-30 [2014-04-16]. （原始内容存档于2013-06-15）. ^ 50.0 50.1 50.2 50.3 50.4 Department of State (III). Background Note: Rwanda. Background Notes. 2012 [2014-04-16]. （原始内容存档于2014-04-12）. ^ USA Today. Congolese army claims attack by Rwandan troops. 2008-10-29 [2014-04-16]. （原始内容存档于2012-11-04）. ^ Al Jazeera. Rwanda blames DR Congo for violence. 2007-09-20 [2014-04-16]. （原始内容存档于2014-03-20）. ^ 53.0 53.1 Heuler, Hilary. Uganda, Rwanda Move to Mend Troubled Relations. Voice of America News. 2011-12-12 [2014-04-16]. （原始内容存档于2014-03-21）. ^ BBC News (VII). Rwanda gives DR Congo back tonnes of smuggled minerals. 2011-11-03 [2014-04-16]. （原始内容存档于2012-04-25）. ^ Organization of African Unity (OAU). Rwanda – The preventable genocide (PDF). The Report of International Panel of Eminent Personalities to Investigate the 1994 Genocide in Rwanda and Surrounding Events: 14. 2000 [2014-04-16]. （原始内容 (PDF)存档于2015-09-08）. ^ Melvern, Linda. Conspiracy to Murder: The Rwandan Genocide Revised. London; New York, N.Y.: Verso Books. 2004: 5 [2014-04-16]. ISBN 978-1-85984-588-2. （原始内容存档于2014-04-22）. ^ 57.0 57.1 57.2 57.3 Ministry of Local Government (MINALOC), Republic of Rwanda. Rwanda Decentralization Strategic Framework. 2007-08 [2013-03-29]. （原始内容存档于2013-03-29）. ^ Southern Province. Governor. [2013-06-05]. （原始内容存档于2013-06-05）. ^ 59.0 59.1 Ministry of Local Government (MINALOC), Republic of Rwanda. Administrative Units. 2004 [2014-04-16]. （原始内容存档于2013-10-22）. ^ BBC News (I). Rwanda redrawn to reflect compass. 2006-01-03 [2014-04-16]. （原始内容存档于2014-01-08）. ^ 61.0 61.1 Central Intelligence Agency (CIA) (II). Rank Order – Area. The World Factbook. [2014-04-16]. （原始内容存档于2014-02-09）. ^ Richards, Charles. Rwanda: Question Time: How could it happen? : Rebellion, slaughter, exodus, cholera: the catastrophe in Rwanda is beyond our worst imaginings. Who is to blame? Who are the Hutus and Tutsis? Can peace ever be restored? Some answers .... The Independent (London). 1994-07-24 [2014-04-16]. （原始内容存档于2014-02-26）. ^ Encyclopædia Britannica. Rwanda. 2010 [2014-04-16]. （原始内容存档于2013-10-30）. ^ Nile Basin Initiative. Nile Basin Countries. 2010 [2014-04-16]. （原始内容存档于2014-02-28）. ^ BBC News (II). Team reaches Nile's 'true source'. 2006-03-31 [2014-04-16]. （原始内容存档于2013-11-10）. ^ Jørgensen, Sven Erik. Lake and reservoir management. Amsterdam: Elsevier. 2005: 93 [2014-04-16]. ISBN 978-0-444-51678-7. （原始内容存档于2014-04-22）. ^ 67.00 67.01 67.02 67.03 67.04 67.05 67.06 67.07 67.08 67.09 67.10 67.11 Briggs, Philip; Booth, Janice. Rwanda – The Bradt Travel Guide 3rd. London: Bradt Travel Guides. 2006 [2014-04-16]. ISBN 978-1-84162-180-7. （原始内容存档于2014-04-22）. ^ Global Nature Fund. Lake Ihema. [2014-04-16]. （原始内容存档于2014-01-07）. ^ Mehta, Hitesh; Katee, Christine. Virunga Massif Sustainable Tourism Development Plan (PDF). International Gorilla Conservation Programme (IGCP): 37. 2005 [2014-04-16]. （原始内容存档 (PDF)于2014-03-04）. ^ 71.0 71.1 Munyakazi, Augustine; Ntagaramba, Johnson Funga. Atlas of Rwanda. Oxford: Macmillan Education. 2005. ISBN 0-333-95451-3. ^ Best Country Reports. Temperature Map of Rwanda. World Trade Press. 2007 [2014-04-16]. （原始内容存档于2012-11-17）. ^ 74.00 74.01 74.02 74.03 74.04 74.05 74.06 74.07 74.08 74.09 74.10 Adekunle, Julius. 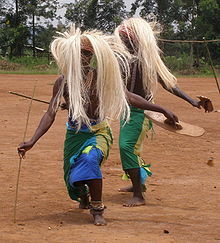 Culture and customs of Rwanda. Westport, Conn.: Greenwood Press. 2007 [2014-04-16]. ISBN 978-0-313-33177-0. （原始内容存档于2014-04-22）. ^ Strategic Foresight Group. Blue Peace for the Nile, 2009 (PDF). [2014-04-16]. （原始内容存档 (PDF)于2014-02-26）. ^ World Weather Information Service - Kigali. World Meteorological Organization. [2014-04-16]. （原始内容存档于2013-10-23）. ^ Rwanda Environment Management Authority (REMA) (Chapter 5). Chap V. Biodiversity and Genetic Resources. Rwanda State of Environment and Outlook Report. 2009 [2014-04-17]. （原始内容存档于2013-09-11）. ^ International Union for Conservation of Nature (IUCN). IUCN welcomes Rwanda as new State Member. 2011 [2012-02-16]. （原始内容存档于2012-03-19）. ^ Embassy of Rwanda in Japan. Akagera National Park. [2012-02-29]. （原始内容存档于2013-06-03）. ^ Rwanda Development Board (RDB) (II). World Environment Day & Kwita Izina. 2010-05-07 [2012-02-16]. （原始内容存档于2012-01-12）. ^ Wildlife Conservation Society (WCS). Birds endemic to the Albertine Rift (PDF). Albertine Rift Programme. [2014-04-17]. （原始内容存档 (PDF)于2013-06-24）. ^ 换算USD(美元)到RWF(卢旺达法郎). Exchange-Rates.org. MBH Media, Inc. [2014-04-17]. （原始内容存档于2014-04-19）. ^ Lavelle, John. Resurrecting the East African Shilling. allAfrica.com. 2008-07-05 [2014-04-17]. （原始内容存档于2014-03-20）. ^ Food and Agriculture Organization / World Food Programme (FAO / WFP). Special Report: FAO/WFP Crop and Food Supply Assessment Mission to Rwanda. 1997-07-01 [2014-04-17]. （原始内容存档于2013-10-02）. ^ World Resources Institute (WRI). Agriculture and Food: Country profile – Rwanda. EarthTrends: The Environmental Information Portal. 2006 [2012-04-02]. （原始内容存档于2012-04-02）. ^ Department of State (I). Background Note: Rwanda. Background Notes. 2004 [2012-02-16]. （原始内容存档于2014-01-14）. ^ World Trade Organization (WTO). Continued reforms and technical assistance should help Rwanda in its efforts to achieve a dynamic economy. Trade policy review: Rwanda. 2004-09-30 [2012-02-16]. （原始内容存档于2013-10-02）. ^ 88.0 88.1 Ministry of Agriculture (MINAGRI), Republic of Rwanda. Livestock production. 2006-06-10 [2012-05-13]. （原始内容存档于2012-05-13）. ^ Namata, Berna. Rwanda to restock water bodies with fisheries. The New Times. 2008-12-28 [2013-11-07]. （原始内容存档于2013-11-07）. ^ 90.0 90.1 Mukaaya, Eddie. Mining industry generated $93 million in 2008. The New Times (Kigali). 2009-01-15 [2013-11-07]. （原始内容存档于2013-11-07）. ^ Delawala, Imtiyaz. What Is Coltan?. ABC News: Nightline. 2001-09-07 [2014-04-17]. （原始内容存档于2013-10-08）. ^ 92.0 92.1 Nantaba, Eriosi. Rwanda services sector boosts GDP. allAfrica.com. 2010-10-18 [2014-04-17]. （原始内容存档于2014-03-20）. ^ Birakwate, Bruno. Google Maps to promote Rwanda's tourism. Rwanda Focus. 2012-03-26 [2014-04-17]. （原始内容存档于2013-04-18）. ^ 94.0 94.1 Nielsen, Hannah; Spenceley, Anna. The success of tourism in Rwanda – Gorillas and more (PDF). African Success Stories Study. World Bank & SNV Netherlands Development Organisation. 2010-04 [2014-04-16]. （原始内容存档 (PDF)于2014-03-20）. ^ 95.0 95.1 Rwanda Development Board (RDB) (III). 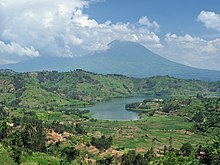 Highlights of Tourist Arrivals in Rwanda January–June 2011 (PDF). 2011 [2014-04-17]. （原始内容存档 (PDF)于2014-03-20）. ^ Rwanda Development Board (RDB) (IV). National Parks. [2012-03-01]. （原始内容存档于2012-05-11）. ^ 97.0 97.1 BBC News (V). Rwanda country profile: Media. 2011-11-25 [2014-04-17]. （原始内容存档于2014-03-11）. ^ Reporters Without Borders. Two leading independent weeklies suspended for six months. 2010-04-14 [2014-04-17]. （原始内容存档于2013-06-24）. ^ Majyambere, Gertrude. Rwandatel's Landline Telephony Increases By 7 Percent. The New Times (Kigali). 2010-05-14 [2014-04-17]. （原始内容存档于2013-11-07）. ^ 100.0 100.1 Butera, Saul. Mobile subscribers rise 51%. The New Times (Kigali). 2011-03-17 [2014-04-17]. （原始内容存档于2013-11-07）. ^ BiztechAfrica. Rwanda mobile penetration tops 57%. 2013-05-01 [2014-04-17]. （原始内容存档于2013-06-07）. ^ India Tech Online. Airtel launches operations in Rwanda, in 83 days: fastest Greenfield launch in history of Sub-Saharan Africa. 2012-03-31 [2014-04-17]. （原始内容存档于2013-04-26）. ^ Butera, Saul. MTN, Tigo Reaping From Rwandatel Misery. The New Times (Kigali). 2011-04-06 [2014-04-17]. （原始内容存档于2014-04-17）. ^ World Bank (II). Internet users (per 100 people). Data. [2014-04-17]. （原始内容存档于2013-11-20）. ^ 105.0 105.1 Reuters. Rwanda completes $95 mln fibre optic network. 2011-03-16 [2014-04-17]. （原始内容存档于2012-09-18）. ^ Butera, Saul. MTN Rwanda deploys new Internet technology. The New Times (Kigali). 2010-01-09 [2014-04-17]. （原始内容存档于2013-11-07）. ^ 107.0 107.1 International Development Association (IDA). 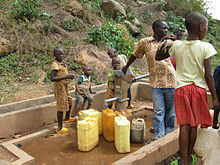 Rwanda: Bringing Clean Water to Rural Communities. [2014-04-17]. （原始内容存档于2012-11-01）. ^ 108.0 108.1 Ministry of Finance and Economic Planning (MINECOFIN), Republic of Rwanda. Poverty Reduction Strategy Paper (PDF): 25–26. 2002-06 [2014-04-17]. （原始内容存档 (PDF)于2013-04-06）. ^ 109.0 109.1 109.2 United States Agency for International Development (USAID). Rwanda: Water and Sanitation Profile (PDF): 3. 2008 [2014-04-18]. （原始内容存档 (PDF)于2013-10-29）. ^ 110.0 110.1 110.2 110.3 World Resources Report. Maintenance of Hydropower Potential in Rwanda Through Ecosystem Restoration (PDF). 2011 [2013-06-05]. （原始内容 (PDF)存档于2013-06-05）. ^ African Development Bank (AfDB). Boosting Rwanda's Energy Sector: AfDB, other Lenders Commit USD 91.25 million to Kivuwatt Project. 2011-08-26 [2014-04-18]. （原始内容存档于2013-10-05）. ^ 113.0 113.1 African Development Bank (AfDB); Organisation for Economic Co-operation and Development (OECD) Development Centre. African Economic Outlook 5. Paris: OECD Publishing. 2006: 439 [2014-04-18]. ISBN 978-92-64-02243-0. （原始内容存档于2014-04-22）. ^ Transit Transport Coordination Authority of the Northern Corridor (TTCA). Investment Opportunities in the Northern Corridor with emphasis in Transport Infrastructure (PDF). OECD. 2004-06 [2014-04-17]. （原始内容存档 (PDF)于2013-10-12）. ^ RwandAir. Flights Schedule. [2013-10-08]. （原始内容存档于2013-10-08）. ^ African Development Bank (AfDB). AfDB Approves Funding for Burundi-Rwanda-Tanzania Railway Project Study. 2009-11-19 [2014-02-16]. （原始内容存档于2012-07-28）. ^ Central Intelligence Agency (CIA) (III). Rank Order – Life expectancy at birth. The World Factbook. 2011 [2014-04-17]. （原始内容存档于2016-01-20）. ^ Streissguth, Thomas. Rwanda in Pictures. Minneapolis, Minn.: Twenty-First Century Books. 2007: 11 [2014-04-18]. ISBN 978-0-8225-8570-1. （原始内容存档于2014-04-22）. ^ Kigali City. Kigali at a glance. [2014-04-18]. （原始内容存档于2014-02-28）. ^ 120.0 120.1 Percival, Valerie; Homer-Dixon, Thomas. Environmental Scarcity and Violent Conflict, The Case of Rwanda. Occasional Paper: Project on Environment, Population and Security (University of Toronto). 1995 [2012-09-16]. （原始内容存档于2012-09-16）. ^ Rwanda Environment Management Authority (REMA) (Chapter 2). Chap II. Population, Health and human settlements. Rwanda State of Environment and Outlook Report. 2009 [2014-04-17]. （原始内容存档于2013-09-11）. ^ Boyd, J. Barron. African Boundary Conflict: An Empirical Study. African Studies Review. 1979-12, 22 (3): 1. ISSN 0002-0206. JSTOR 523892. ^ Jefremovas, Villia. Acts of Human Kindness: Tutsi, Hutu and the Genocide. Issue: A Journal of Opinion. 1995, 23 (2): 28–31. ISSN 0047-1607. JSTOR 1166503. doi:10.2307/1166503. ^ Coleman, Isobel. Rwanda: Road to Recovery. The Huffington Post. 2010-04-07 [2014-04-18]. （原始内容存档于2013-11-02）. ^ Walker, Robert. Rwanda's religious reflections. BBC News. 2004-04-01 [2014-04-16]. （原始内容存档于2014-02-22）. ^ 127.0 127.1 Department of State (II). Rwanda. International Religious Freedom Report 2007. 2007 [2014-04-18]. （原始内容存档于2014-04-14）. ^ Wiredu, Kwasi; Abraham, William E.; Irele, Abiola; Menkiti, Ifeanyi. A companion to African philosophy. Malden, Mass. : Wiley-Blackwell. 2006: 236–237 [2014-04-18]. ISBN 978-1-4051-4567-1. （原始内容存档于2014-04-22）. ^ 129.0 129.1 Université Laval. Rwanda: Aménagement linguistique dans le monde. 2010 [2012-02-16]. （原始内容存档于2014-01-01）. ^ 130.0 130.1 Samuelson, Beth Lewis; Freedman, Sarah Warshauer. Language policy, multilingual education, and power in Rwanda (PDF). Language Policy. 2010, 9 (3): 191–215 [2014-04-18]. ISSN 1568-4555. doi:10.1007/s10993-010-9170-7. （原始内容 (PDF)存档于2013-05-10）. ^ Nakayima, Lillian. Nkombo Island's Hope for the Future. The New Times (Kigali). 2010-06-23 [2014-04-18]. （原始内容存档于2013-11-07）. ^ 132.0 132.1 Rwanda Development Gateway. National Ballet – Urukerereza. [2012-10-29]. （原始内容存档于2012-10-29）. ^ Royal Museum for Central Africa (RMCA). Ingoma. [2014-04-17]. （原始内容存档于2013-05-12）. ^ Briggs, Jimmy. A dance of hope in Rwanda. Dance Magazine. 2004-08 [2014-04-18]. （原始内容存档于2014-06-11） –通过HighBeam Research. ^ Mbabazi, Linda. Hip Hop Dominating Music Industry. The New Times (Kigali). 2008-05-11 [2014-04-18]. （原始内容存档于2014年2月22日）. ^ Ntambara, Paul. Minister Irked By Big Number of Grass-Thatched Houses. The New Times (Kigali). 2009-12-09 [2014-04-18]. （原始内容存档于2014-02-02）. ^ Nominees & Winners for the 77th Academy Awards. Academy of Motion Picture Arts and Sciences. [2014-04-18]. （原始内容存档于2013-12-30）. ^ Hotel Rwanda. hfpa.org. HOLLYWOOD FOREIGN PRESS ASSOCIATION. [2014-04-18]. （原始内容存档于2014-02-20）. ^ Milmo, Cahal. Flashback to terror: Survivors of Rwandan genocide watch screening of Shooting Dogs. The Independent (London). 2006-03-29 [2014-04-18]. （原始内容存档于2014-02-26）. ^ Embassy of Rwanda in Sudan. Sudan and Rwanda public holidays. [2012-03-13]. （原始内容存档于2012-03-13）. ^ Directorate General of Immigration and Emigration, Republic of Rwanda. General Information (PDF): 5. [2012-03-07]. （原始内容 (PDF)存档于2011-10-03）. ^ Gahindiro, John. Making "Umuganda" More Useful. The New Times (Kigali). 2008-06-02 [2014-04-18]. （原始内容存档于2014年2月2日）. ^ 143.0 143.1 Auzias, Dominique. Rwanda. Paris: Petit Futé. 2007: 74 [2014-04-18]. ISBN 978-2-7469-2037-8. （原始内容存档于2014-04-22）. ^ Anyango, Gloria I. The Barbecue Chef who masters his roast. The New Times (Kigali). 2010-02-04 [2014-04-18]. （原始内容存档于2014-04-22）. ^ Nzabuheraheza, François Dominicus. Milk Production and Hygiene in Rwanda. African Journal of Food, Agriculture, Nutrition and Development (AJFAND). 2005, 5 (2) [2014-03-03]. ISSN 1684-5374. （原始内容存档于2014-03-03）. ^ Rwanda to bid for 2013 FIBA Africa Championship. Kigali: The New Times. [2014-02-28]. （原始内容存档于2014-02-28）. ^ Afrobasket 2013 – Organization : Cote d'Ivoire will host the competition. [2012-09-13]. （原始内容存档于2012-09-13）. 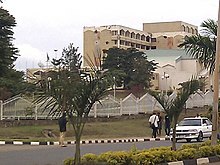 ^ Ministry of Education (MINEDUC), Republic of Rwanda. Achievements (2003–2010) (PDF): 2. 2010-07-13 [2012-03-11]. （原始内容 (PDF)存档于2012-03-11）. ^ Musoni, Edwin. Kagame Promises 12 Years of Free Education. The New Times (Kigali). 2010-07-28 [2014-04-17]. （原始内容存档于2013-11-07）. ^ McGreal, Chris. Why Rwanda said adieu to French. The Guardian (London). 2009-01-16 [2014-04-17]. （原始内容存档于2014-03-20）. ^ World Bank (III). School enrollment, tertiary (% gross). Data. [2014-04-17]. （原始内容存档于2013-10-30）. ^ World Bank (I). Rwanda. Data. [2014-04-17]. （原始内容存档于2014-04-04）. ^ Wayan Vota. 120,000 XO Laptops Headed to OLPC Rwanda. OLPC//NEWS. 2009-05-12 [2014-04-17]. （原始内容存档于2014-03-27）. ^ OLPC Rwanda. One Laptop per Child. [2014-04-17]. （原始内容存档于2014-03-28）. ^ 155.0 155.1 United Nations Children's Fund (UNICEF). Rwanda: Statistics. 2012-07-19 [2014-04-17]. （原始内容存档于2014-03-20）. ^ Kabalira, Marie-Brigitte. Country on course to reduce infant deaths, but huge task ahead. Rwanda Focus. 2012-01-30 [2014-04-17]. （原始内容存档于2012-02-03）. ^ 157.0 157.1 157.2 157.3 157.4 157.5 World Health Organisation (WHO). WHO Country Cooperation Strategy, 2009–2013: Rwanda (PDF). 2009 [2014-04-17]. ISBN 978-92-9031-135-5. （原始内容存档 (PDF)于2014-03-20）. ^ United Nations Development Programme (UNDP) (I). Assessment of Development Results: Rwanda (PDF): 7. 2007 [2014-04-17]. （原始内容存档 (PDF)于2013-05-23）. ^ Kigali Health Institute (KHI). About KHI. 2012-03-22 [2012-04-26]. （原始内容存档于2013-09-24）. ^ World Health Organisation (WHO). Sharing the burden of sickness: mutual health insurance in Rwanda. Bulletin of the World Health Organization. 2008, 86 (11): 817–908. ISSN 0042-9686. （原始内容存档于2014-03-20）. 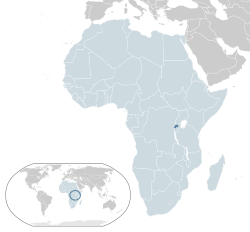 ^ McNeil, Donald G. In Desperately Poor Rwanda, Most Have Health Insurance. The New York Times (New York, N.Y.: The New York Times Company). 2010-06-14 [2014-04-17]. （原始内容存档于2014-04-17）. Bowdler, Neil. Apprentice adviser Nick Hewer's Rwanda mission. BBC News. 2010-05-14 [2014-04-18]. （原始内容存档于2010-08-23）.